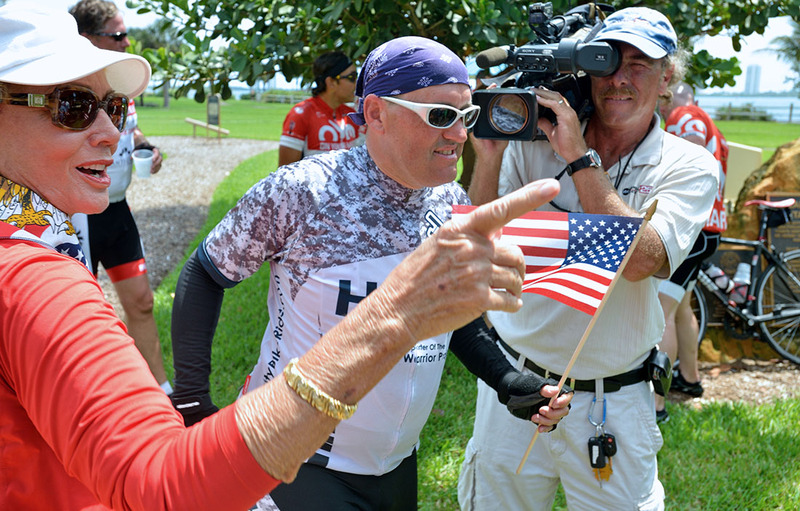 A year or so ago, Jeff Masters was telling me about a 1,200-plus-mile bike ride he was planning. I nodded in all the right places and wished him the best. You see, every cyclist has an epic ride in the works the same same way every writer has a great novel in the typewriter. The difference, of course, is that Jeff made it happen. Funny thing is, Jeff didn’t just plan and execute a bike ride, he created an organization and mission at the same time. The HERO Charity Bike Ride is a 28-day bike ride from New York City to West Palm Beach, Florida, to raise money and awareness for the Wounded Warrior Project. United States military personnel serve to defend and protect us every day, putting themselves in perilous situations for our freedom. They make the ultimate sacrifice day in and day out. The Wounded Warrior Project was created to help support, rehabilitate and reacclimate wounded service members after they return home from combat. 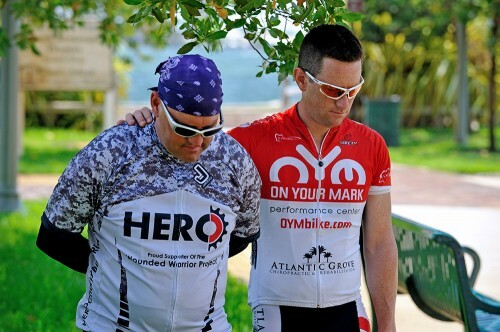 The founder of the HERO Charity Bike Ride, Jeff Master, understands how great the sacrifice is for these warriors’ after losing his father in the Vietnam War just four months before he was born. He and his team are compelled to do their part to support our military veterans and their families by riding their bikes to raise money and awareness for the Wounded Warrior Project. Jeff did a darn good job of keep folks up to date on his progress. 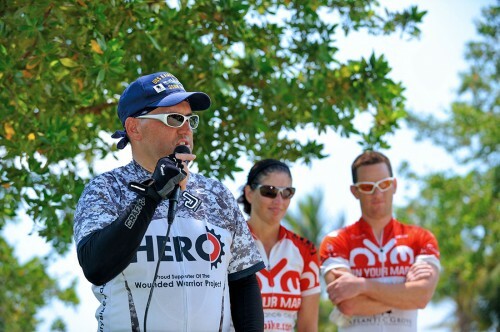 Be sure and check out Jeff’s HERO Charity Bike Ride blog. Lots of pictures, maps and videos from the trip. 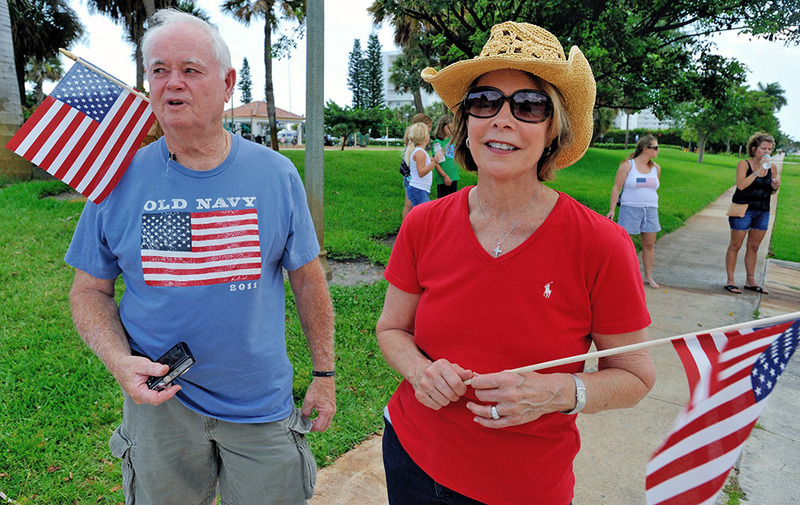 When Jeff started the project, he hoped that it would raise a couple thousand dollars for the Wounded Warrior Project. Last I heard, his efforts had raised more than $8,000. You can still make a donation to the Wounded Warrior Project. I’m pleased that my local bike shop, On Your Mark, was one of the sponsors and the associated club sent riders out for the last leg. Jeff traveled 1,200 miles and still managed to hit the finish line right on time. You gotta admire that military-like precision. Jeff made it back. No matter what sort of shape you’re in, 1,200 miles in 28 days ain’t easy. Please, take a moment today, between picnics and car shopping, to give thanks to those who gave their lives while in military service, for those that didn’t make it back from whatever distance they traveled.